Would Canadians pay $200 per plate for Sarah Palin? Sarah Palin is scheduled to visit Hamilton, Ontario in April as a guest speaker at a hospital fundraiser. It is expected that it will cost $200,000.00 to bring Palin to Hamilton. The 1000 seat banquet centre will host a banquet with various ticket prices up to $200.00 each. Details are still being decided. It is curious, and perhaps hypocrital, that Palin will be in town to raise money for two local hospitals when she is/was an outspoken supporter of private health care in the U.S.
Why not just host a dinner without Palin and give the proceeds to the hospitals? Other U.S. celebrities that have attended charitable fundraisers at this banquet centre are: Bill Clinton; George Bush Sr.; Margaret Thatcher, Mario Cuomo. Canadian Prime Ministers Jean Chretien and Paul Martin and even Italian actress Sophia Loren. Palin will make a presentation and have a question-answer session. The topic has been left open. Would you pay $200.00 per plate to hear Palin? do we get to throw the plates at her? I wouldn't let them pay me $20 plus the free meal to listen to her speak. That would be up to Carmen's Banquet Centre. It may cost 25ø extra. Understandable. I can, however, vouch for the food at Carmen's. Then I guess I would attend if they paid me and gave me a free meal, and I was seated at a table with an obstructed view and farthest away from the audio system. Do you think they'd mind if I ate in the kitchen? NO DINNER with almost V.P. ! Well, well. It seems that my thread was a success and secured the desired result. The gala dinner hasn't been canceled, and Governor Palin still is the honored guest and speaker - your own article confirms that. Another politically correct and factually wrong post, eh, Intrepid - do you ever think of trying any other kind?! You must be one of them right wing fanatical Republicans, eh. Exactly what is factually wrong? Where have you been? She resigned! She will NOT be a governor in April! If they like her, I hope they keep her. You were correct in that the benefit for the hospitals has been cancelled. Your article does indicate that a children's charity will now benefit from the proceeds. It does make one wonder why they are going ahead with a different charity. Highseas does seem to be upset with both your and my posts. I really don't see much hope in that. YES ! i should have read the report more carefully . for now , mrs. palin will speak in hamilton . We all make them. Something about being human. I guess we'll just have to try a little harder to keep the former governor out of the area. I wonder who we'd have to embarrass to make it not happen? Then again, Sheila Copps is from Hamilton. She might be able to throw some excellent political punches over this. We don't hear much from Sheila anymore. Know what would be funny? If Sarah comes to Hamilton and nobody shows up. 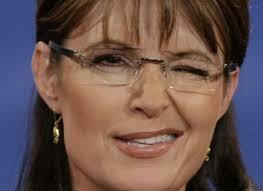 » Would Canadians pay $200 per plate for Sarah Palin?